This watercolor beginner class is the perfect way to ignite your inner-artist and express yourself through painting. Anastasiia, a talented artist, will teach you A to Z how to apply a wide variety of watercolor painting techniques and which materials to use. You will see demonstrations, and discuss composition, design, subject matter, and textures that lend themselves to this medium. 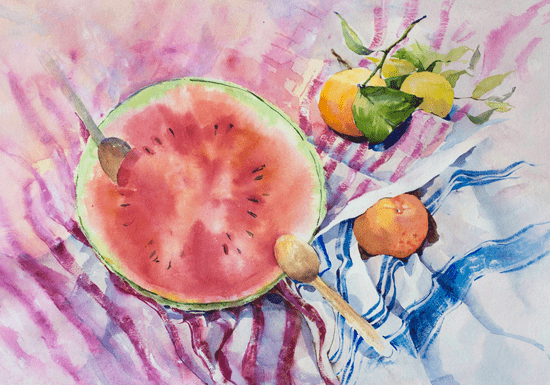 The duration of the course is 10 hours (5 sessions x 2 hours) and by the end of it, you will have a solid understanding of how to create your own, unique watercolor painting.